Kingsbury High School, Physical Education staff, Mr Donald, Mr Froy, Mr Ali and Mr Nilsson grew and styled some fantastic moustaches for Movember this year. 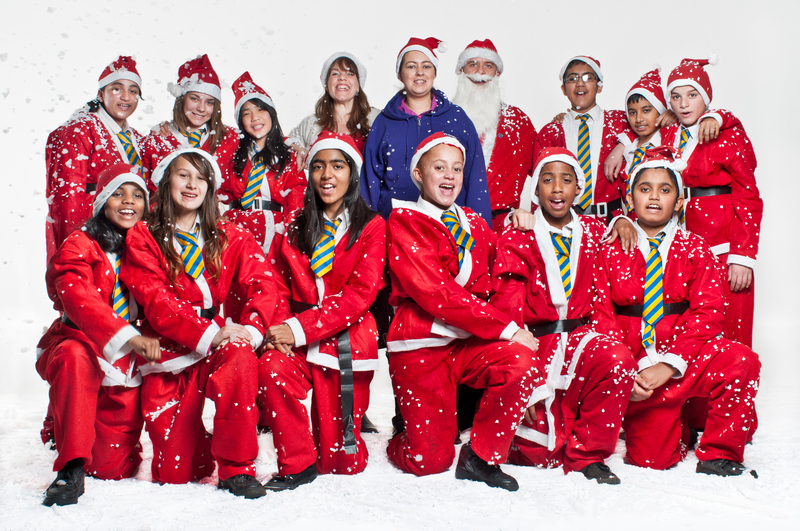 In addition to raising a massive £520 for charity, an event was held, where students and staff were asked to wear onesies and fake moustaches to raise awareness of prostate and testicular Cancer. 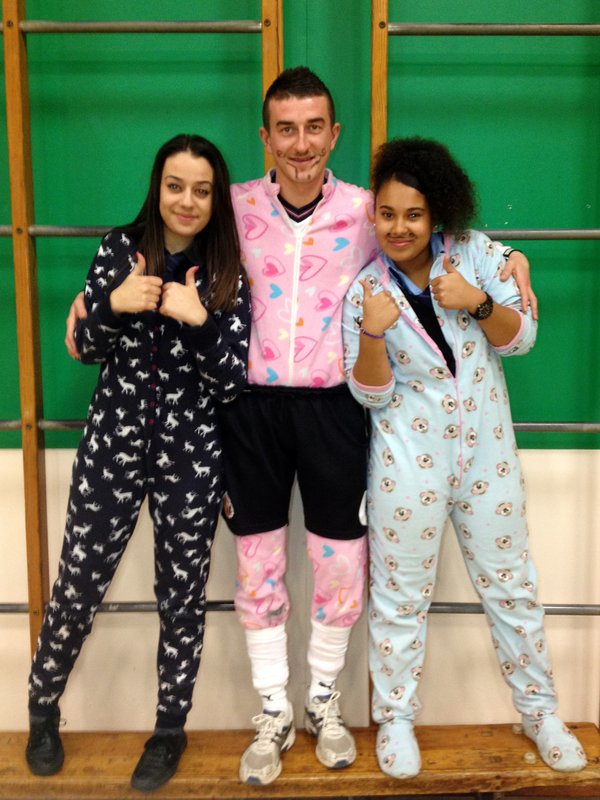 Sixth Form students, Xhesilda Kurtaj and Natalie Barnett, supported the cause dressed in onesies and raised over £100 in a day. The PE Department would like to thank all staff and students for their kind donations to this great cause. The Kingsbury High School Library’s fourth, Annual, Mini Fair was well attended by the lower school students and members of staff, who enjoyed the festivities by taking a chance on the ‘Lucky Dip’, buying Raffle tickets – ‘oohing’ and ‘aahing’ when they lost or won a prize, buying bargain books and confectionery and supporting the Year 8s in their wonderful efforts to raise funds for the ‘St Luke’s Hospice’ Charity. We raised over £100 in the lunch hour, the money is going to be used to buy books especially requested by students and a donation was also made to support the Year 8s work for St. Luke’s. Moustache Mayhem at Chess Club! KHS MoBros and MoSistas took part in a Movember Special Chess Club on Wednesday 5th December. The aim was to raise funds and awareness for men’s health, specifically prostate cancer and testicular cancer. Students and staff enjoyed playing chess whilst sporting various styles of moustaches including “the scoundrel,” “the Casanova,” and many more. Along with a great turnout, we raised money for the cause, adding to the Movember fund with a grand total of £233.55 Thank you all for your support and donations!